Let’s play some music, folks! Bermondsey has a music tradition that goes back to places such as The Star Music Hall opened in October 1867 and was probably begun as a result of the one hundred new houses which had been built in the Bermondsey area a year earlier. It was located at 189 Neckinger Road, now Abbey Street. 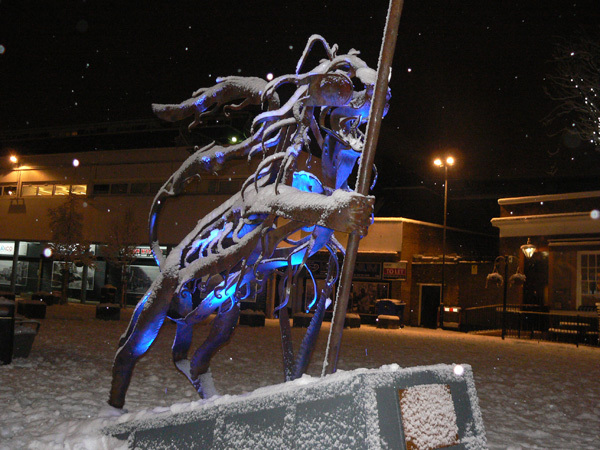 The origins of the Blue Bermondsey BID began with the work of voluntary representatives from local business who got together in the early 1990s as the Blue Market Traders Forum an informal group who continually lobbied local Councillors and Southwark Council on behalf of local businesses to improve the area, which had become run down and lacking investment. These pioneering efforts got the ball rolling, with the Market place getting a facelift and many small community events being established. 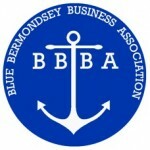 2008 The Blue Market Traders Forum became an officially constituted group as the Blue Bermondsey Business Association (BBBA), whose efforts took a more pro-active role on many initiatives, most notably securing £700,000 funding into the High St, forming steering groups, engaging and canvassing businesses and local residents, resulting in the major regeneration works of the Market place, shop front improvements, restructuring of Southwark Park Rd to bring more flexibility to the on road parking with the addition of loading bays and of course the ICONIC Bermondsey Lion artwork that has symbolised the resurgence of the community. The BBBA BID Steering Group was constituted in autumn 2012 to develope the BID proposal and in June 2014 the ballot campaign followed asking eligible businesses to vote yes or no to the proposals. The result was announced on 4th July 2014 with 89% of voting in favour of the BID term for five years until October 2019. The Blue Bermondsey BID was keen to create a new event that would create a new an opportunity to people to discover the area while providing a music journey across different venues in the areas. It was important at this stage the collaboration with Cunning Folk, a folk performer & music promoter & also runs the South East London Folklore society.